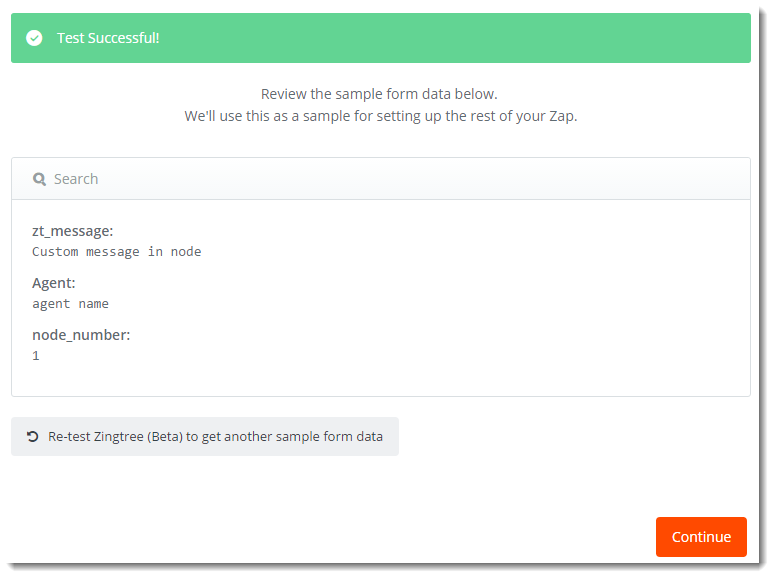 Our Zapier app makes it easy to send data collected during each Zingtree session to 1000+ applications supported by Zapier. In case you haven’t heard of it, Zapier is a tool that simplifies data exchange between various web applications. We’re big fans. Send data collected in a Zingtree session to Salesforce, Zoho, Highrise, or any other CRM. Add an email address entered into a tree into Mailchimp. Send yourself an email or SMS message when a customer reaches a critical node in a tree. Save new customer information in a Google Sheets row. Create Trello cards from trees, and include customer notes and session data. When using Zapier, you create “Zaps.” A Zap has a “trigger,” which is the source of the data, and an “action,” which is where the data gets sent. Most of our customers want to send data from Zingtree to another app, so we’ll demonstrate how this is done here. Before starting, you may want to examine a demo tree from our Gallery that gathers data and sends it to Zapier, or copy it to your account. 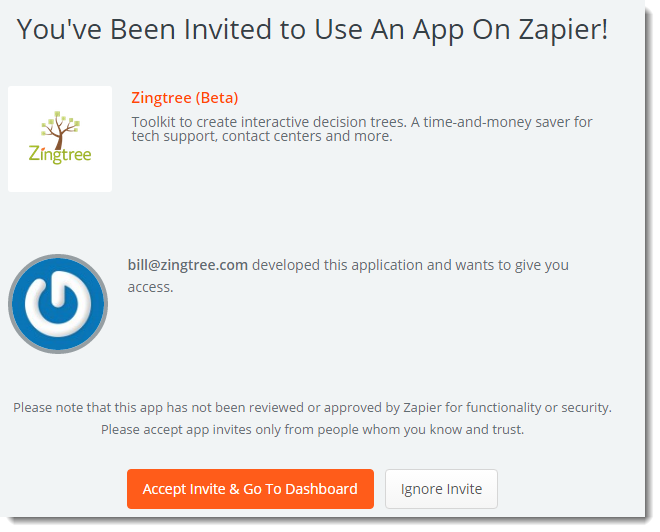 The Zingtree Zapier app is currently invite-only. But if you’re reading this article, you’re invited! Create a free Zapier account at Zapier.com. Click Make a new Zap. You’ll be asked to choose a Trigger App, which is the source of the data exchange. 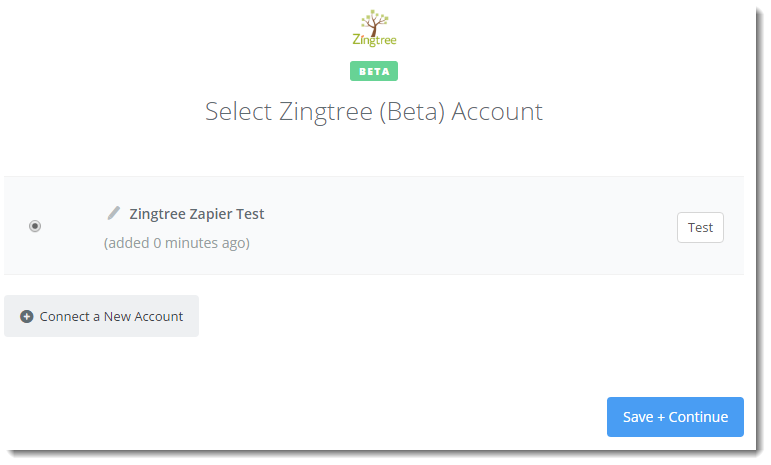 Search for Zingtree, and select Zingtree (Beta). You’ll be asked to choose a single trigger. 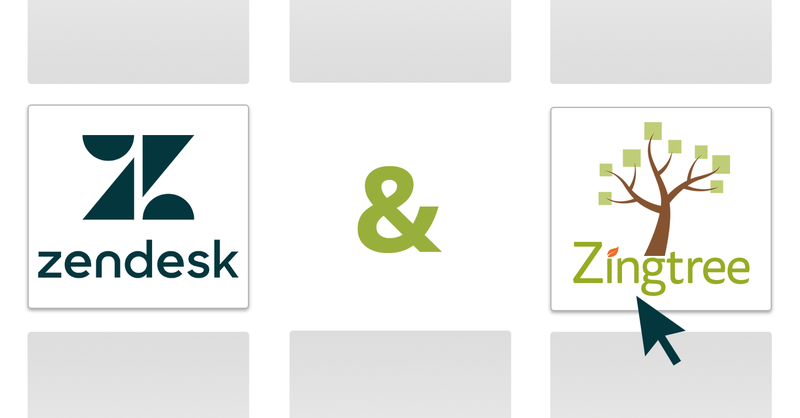 Next, you’ll need to connect your Zingtree account and a tree to Zapier. Click Connect a New Account. 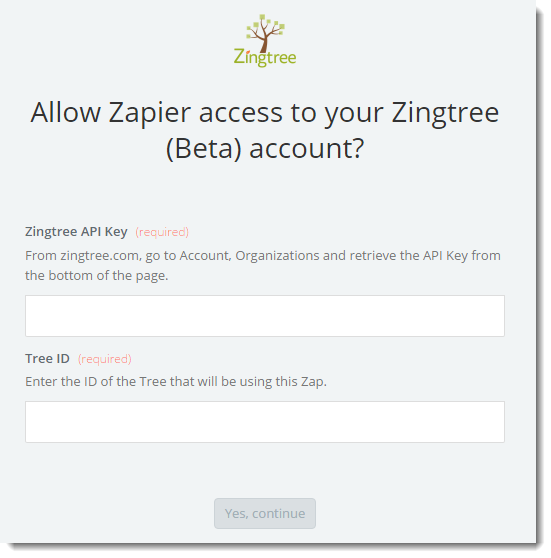 You’ll be asked for your Zingtree API Key, which you can find here. Also, enter the Tree ID that will be sending data to Zapier. Change the name of the account, then click Test. You should see “success.” Click Save + Continue. Next, Zapier will attempt to retrieve any variables or sample data from your tree. If this is a new tree, you may want to run through it once and gather some data. You’ll see some of the stock data that Zingtree always provides, as well as any custom data for your tree. Again, if you don’t see all the data you expect, do a test run through your tree, and enter some data at least once. This will make the rest of the process easier. 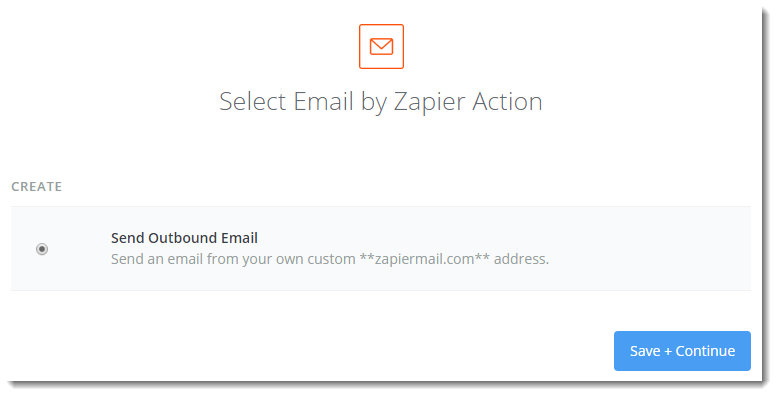 Search for email, and choose Email by Zapier as an action app. This app has just one action. 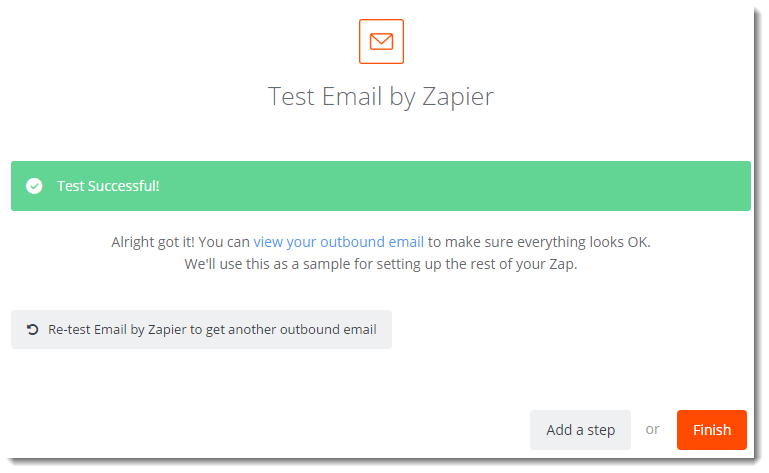 Fill in details for the outbound email. You can insert fields from Zingtree in the body of the email as well. Click Continue when the email is set up correctly. You’ll see a preview of what to expect. Click Create & Continue to save the action and send a test email. You should see another “success” screen. Click Finish when the email appears as you like. 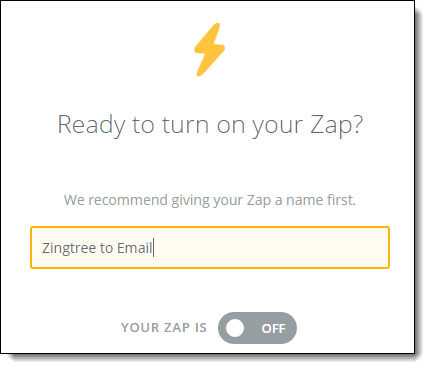 Name your Zap Zingtree to Email, and turn it on! Your Zapier Zap is all set. The final step is to tell Zingtree when to send all the data collected in a session to Zapier. This can be triggered from one or more nodes when they are seen by the end-user of your tree. From Overview, Edit Node, edit the node that you want to trigger sending data to Zapier. 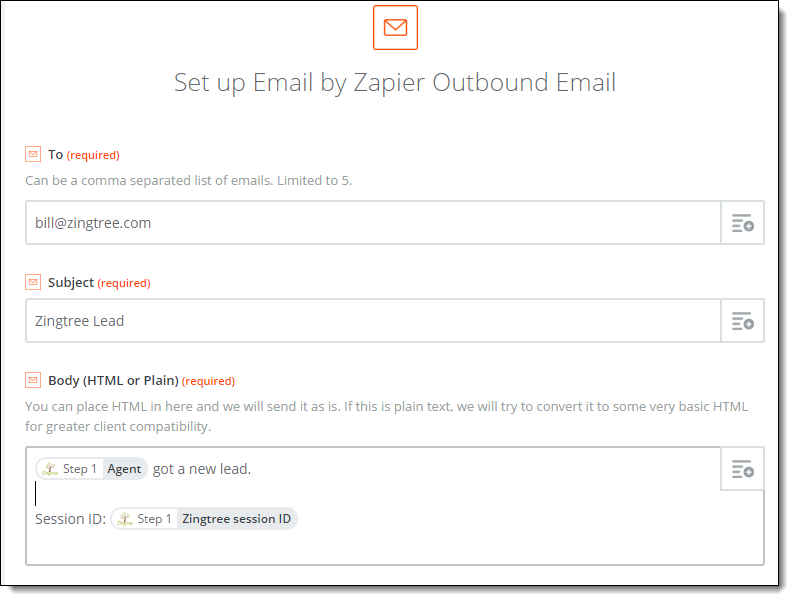 Under Call App or Webhook, select Zapier: Zingtree to Email. This is the new Zap you created. 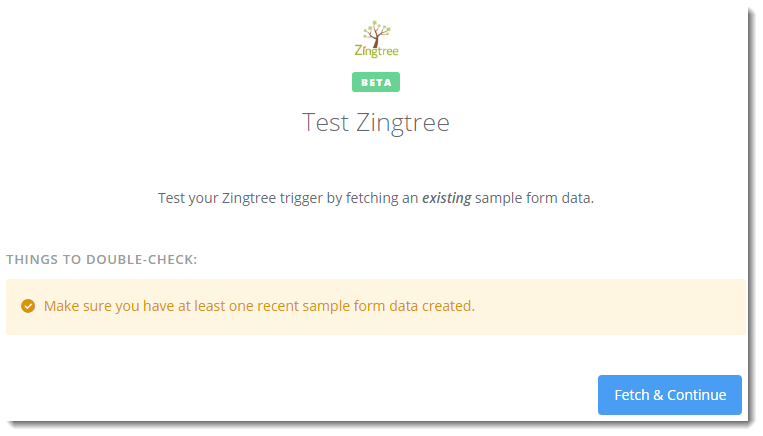 Now try a test from Zingtree. Using Preview or the Publish tool, navigate your tree, and when you reach the node that triggers the send, you should see something in your inbox. IMPORTANT: Make sure to use https in your published Zingtree URL when using Zapier. Once you get your first Zap done, it becomes easy and addictive to hook Zingtree to the other applications that your business depends upon. So keep going! – In this step “You can insert fields from Zingtree in the body of the email as well.” can I insert a listing of all current Zingtree fields from the current tree and their names, without adding them one at a time and typing a name? 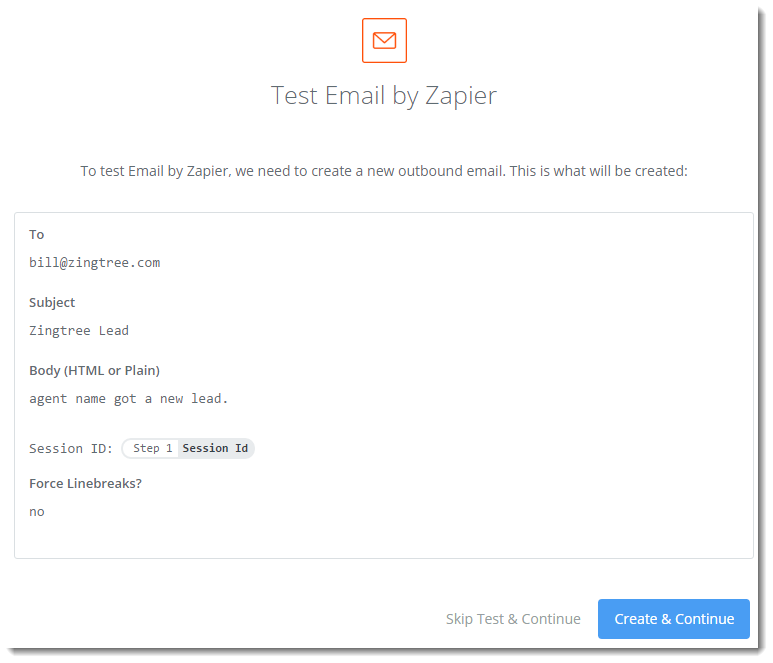 – Can the value of scoring variables be passed to Zapier? You would need to add them one at a time. This is used to map Zingtree data into other systems. For example, if you’re passing data to aCRM system, a Zingtree “name” field would map to a “name” field in the CRM. And yes – scoring values are passed to Zapier.